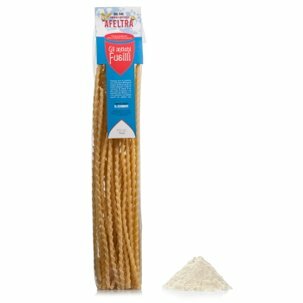 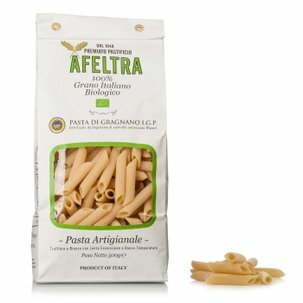 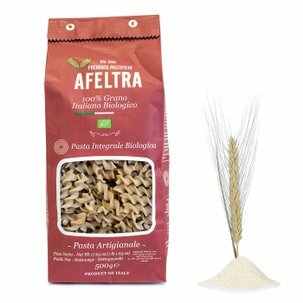 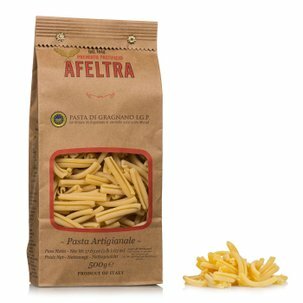 The Afeltra spaghettoni are prepared by hand and bronze die extruded according to the oldest Gragnano tradition. 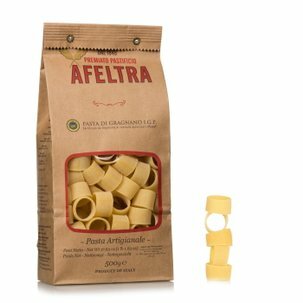 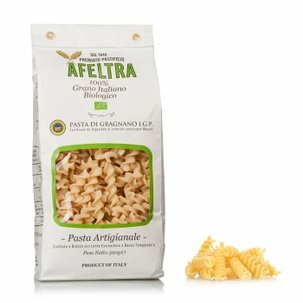 An exceptional pasta that guarantees optimal texture when cooking and an unmistakable flavour, and that has a coarse and very porous surface that is ideal for holding the sauces you decide to serve with it. 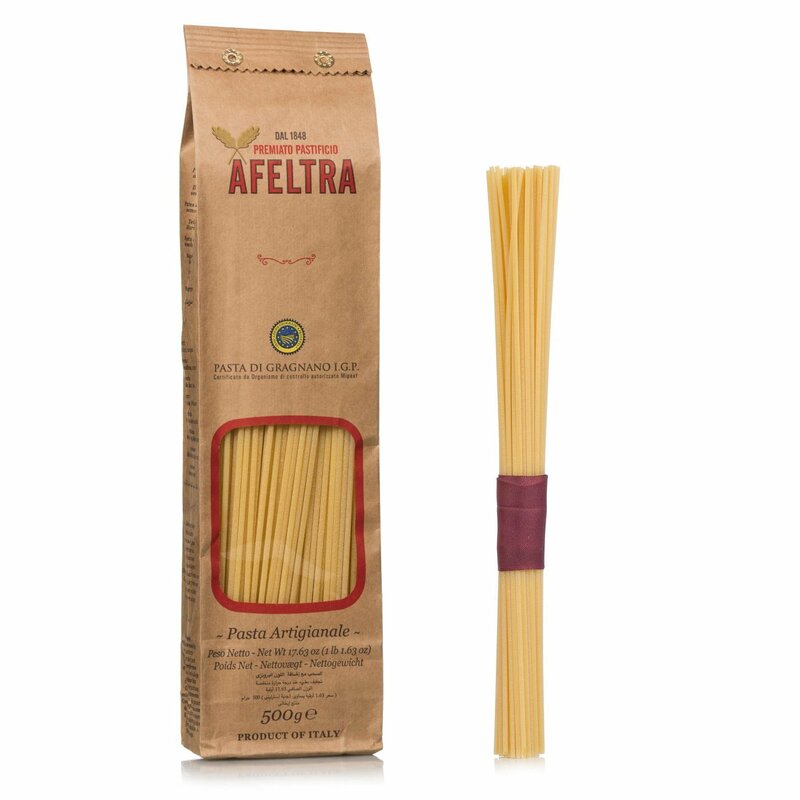 Do not miss the opportunity for serving the artisan Italian excellence that Eataly has carefully selected for you!